There was a period a couple weeks ago where I ate Mexican food at least once a day for about a week. It was all fun and games until I realized I couldn't even think about eating Mexican again. I had never in my life thought "I can't eat Mexican right now." My mom is Mexican so I grew up eating a lot of Mexican, I love it. So that was a very dark place to be in. Good news- I'm not there anymore! I think it was the fact that we were eating out most of those times. 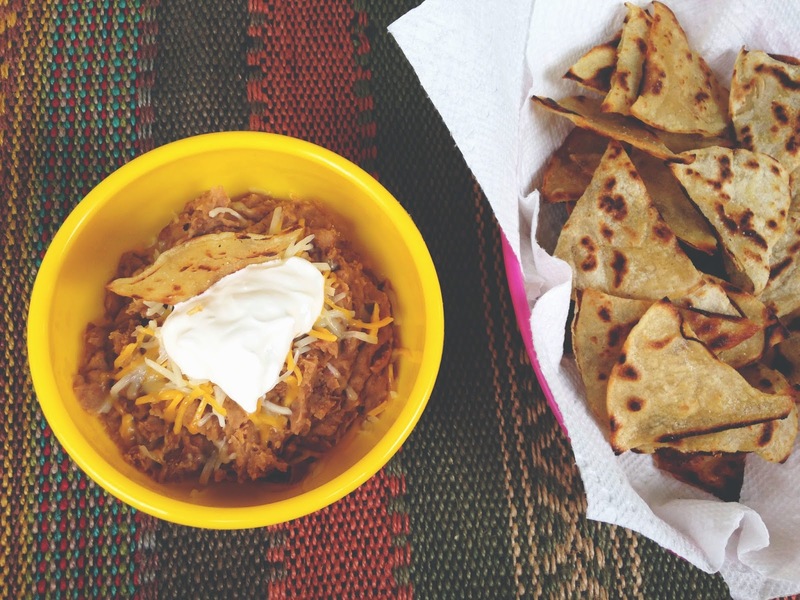 Homemade Mexican is so different and most of the time, a whole lot better. 1. Stack corn tortillas on top of each other. 2. Cut the stack in half and then cut in half two more times, leaving six pizza shaped pieces. 3. Heat oil in skillet on medium-high heat. 4. Drop corn tortillas in hot oil and fry until crispy brown, then flip. 5. Place cooked chips on a paper towel on a plate to absorb excess oil. 1. Heat 1 Tbs. oil in skillet to medium-high heat. 3. Add cumin and seasoning and mash to mix together. 4. Serve with shredded cheese and sour cream on top. 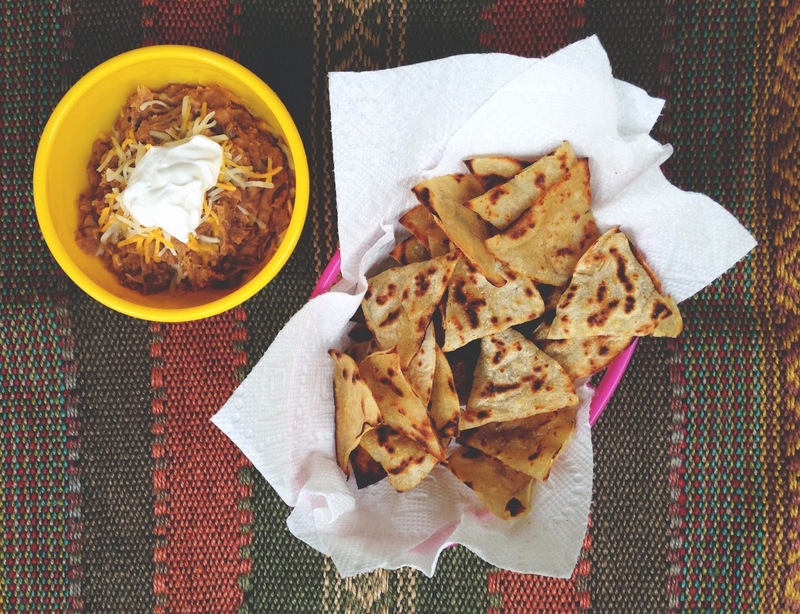 This isn't the healthiest recipe to ever grace this blog, but it sure is tasty! It's also super easy. Win-win. The pinto bean seasoning I use is Fiesta brand. It's real good. I don't like to play favorites, but cumin is probably the best spice I've ever tasted. I could put it in anything. Almost. So when I have more recipes in the near future using cumin, you'll know why.